We are a newly opened, family run @Baan Kunt Tour & Hostel. The hostel is designed specifically for backpacker with a beautiful decoration in mixed modern and unique northern Thai style, yet in a very reasonable price. We provide you good quality dorm beds and air-condition, a fan and hot shower. You can choose either share rooms or a private one. It's a family atmosphere where everyone is welcome but also with the experience to help with any problems you may have, we want to help you to have the best experience possible in the city of Chiang Mai. We also provide you a tour agent where you can get a recommendation of where to go and what to do in northern Thailand. Our tour agent has many years experience of looking after travelers in Chiang Mai so we have many tips of interesting things to do and places to see, we are here to help make sure you have both enjoyable and comfortable moment while stay with us. We are at 119/10 Tapae Road, Tambon Changklan, Aumphur Muang, Chiang Mai, Thailand 50100. By taxi (from airport, bus and train station): you can take taxi-meter, red-taxi or tuk-tuk by telling them the address and ask them to stop in front of the Thai-Farmer bank (a.k.a Kasikorn bank), Tapae branch. If you stand in front of the bank, we are on your left hand side. On foot: We are on the one-way Tapae road, just walk towards the Tapae gate. 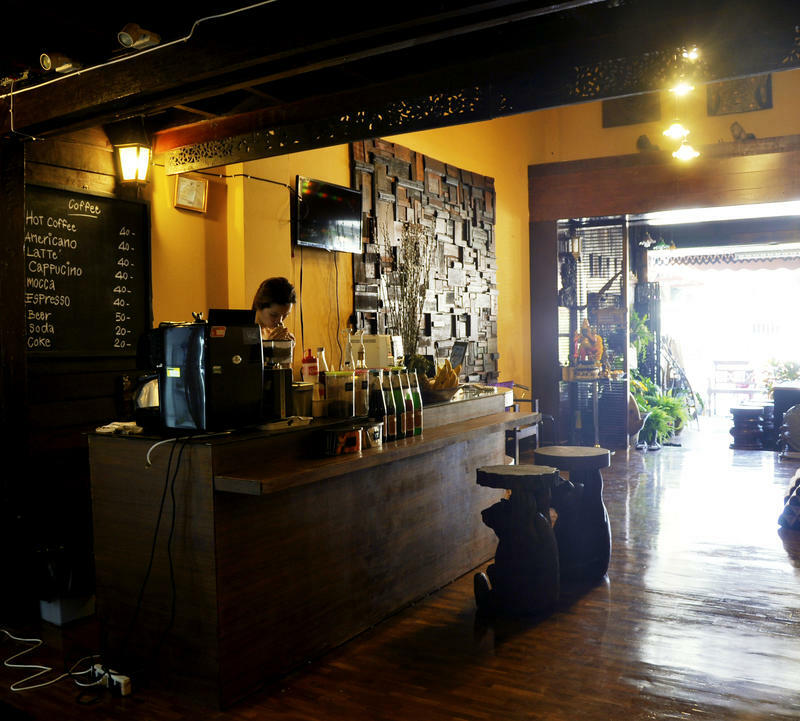 Our hostel is located in between the left-turn to Night Bazaar and the Tapae gate.